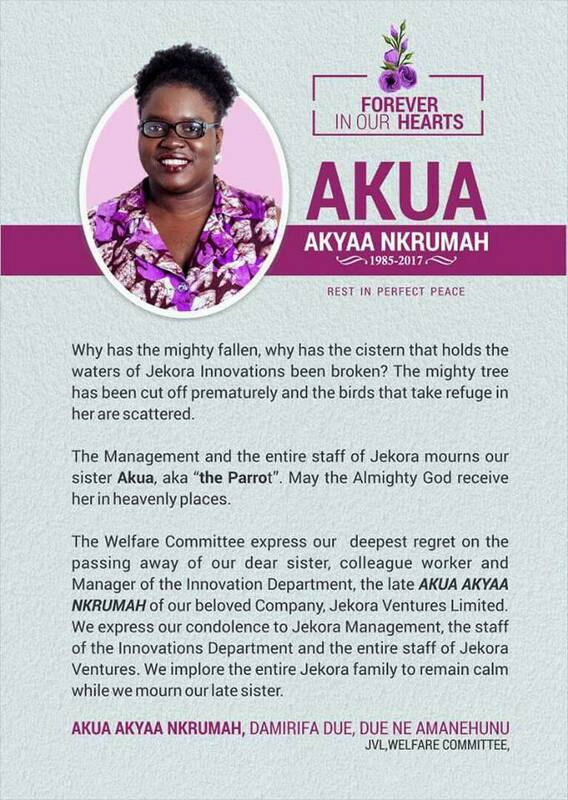 Environmental Technologist Akua Akyaa Nkrumah passed away on Thursday. She was, write her colleagues in the death announcement, a “mighty tree”. I think it is not often such words are used about a thirty-something, but those were the same words that came to mind as I heard of her passing on Friday morning. I am devastated. In lieu of the one-week meeting for family and friends that is customary in Ghana, I want to sit an imaginary living room and share here on my blog some of my thoughts. I imagine an overcrowded room, some of us are standing. I see Akyaa’s family and colleagues in the room, friends from BloggingGhana, Chale Wote, Ahaspora, Golda, Maame Aba, Jemila, Edward, Ato, Naa Oyoo, Efo. Now that we are all here, let’s remember. 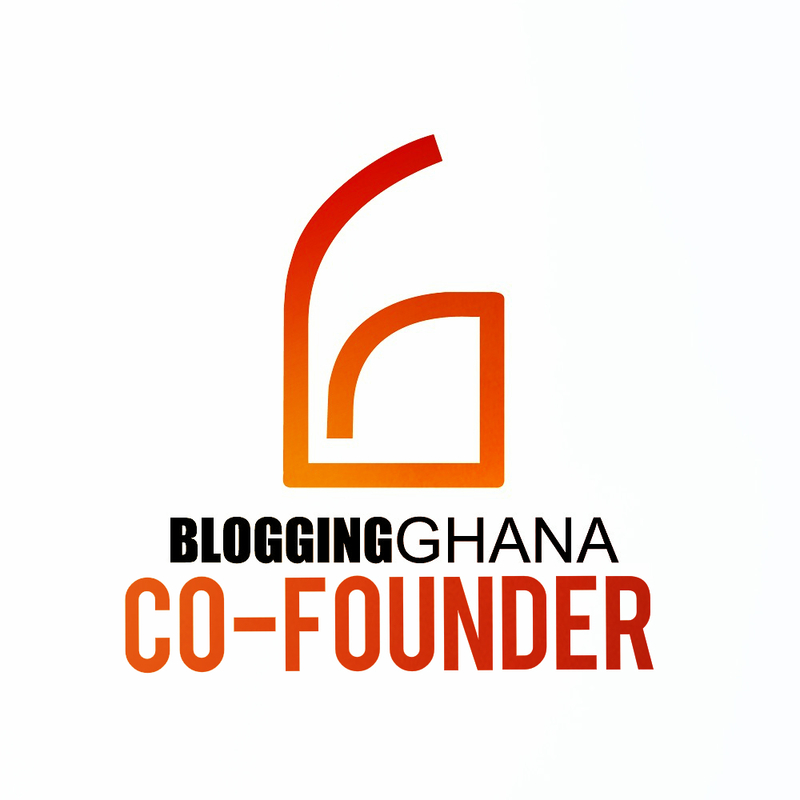 Akyaa was a blogger and member of the organization I co-founded in 2008, BloggingGhana. Do read her last blog post on the 15 things NPP can do for the environment. She was a very present member, featured in our “By the Fireside”-events last year, and a feisty and fun discussant on issues we would deliberate on when the official meeting was over. She was a passionate professional working with Jekora Ventures, doing the hard work that is cleaning up Accra, one of the places in the world most in need of sanitation. She was proud of her work and often talked about her projects. Additionally, she was an inspiration and a fellow creative in a space where creativity is rare. She was also an ray of light in the field of environmentalism, desperately needed for a Ghana that is quickly becoming a dump site. Last year, she was featured on Jill of All Trades with this beautiful interview. In the beginning of the year, Akyaa and I had quite a lot of interactions. We met up and talked about life, she helped my student with information, I got to learn about her initiative to take Eco thinking and social media to university students in the Green Ghanaian Eco Tour. The program was masterfully crafted, intended to reach all regions of Ghana, prefunded by an international donor who Akua had approached and written a proposal to. I took notes and confided in her that under so many years of discussing such an outreach for causes I feel strongly about, I never managed to. She generously shared the details that made her project a success. In February, Akyaa brought her initiative to Ashesi University. I played only a small role and finally could not attend the program on the Saturday she came up with her team, but was following the tweets online from engaged students. In her last year of living, Akyaa spread her worldview to hundreds (thousands?) of young people, opened a waste management plant, and taught me personally about activism and outreach. Now that she is no more with us, my only consolation is in these endeavors Akua Akyaa Nkrumah will live on. Green Ghanaian…dubbed Great Ghanaian by a mutual friend. Green Great Ghanaian. Our mighty tree. Thank you. Da yiy3. BloggingGhana will remember her in an event soon. Ahaspora will be dedicating their June Happy Hour to celebrate her life. Family GoFundMe collection for her burial.